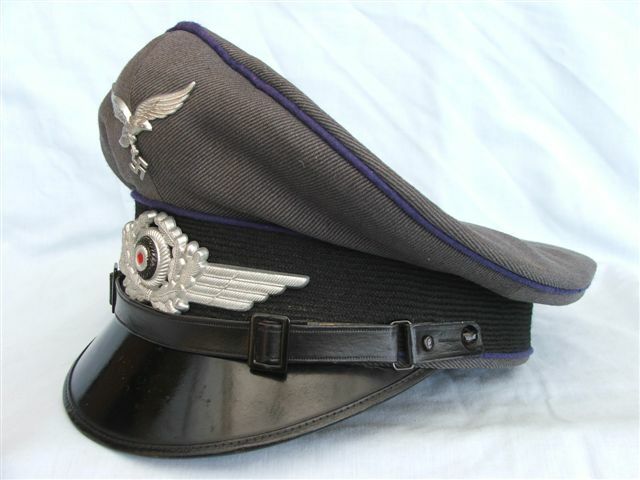 An enlisted to officer conversion of the Fliegerbluse. This tunic is to a major. 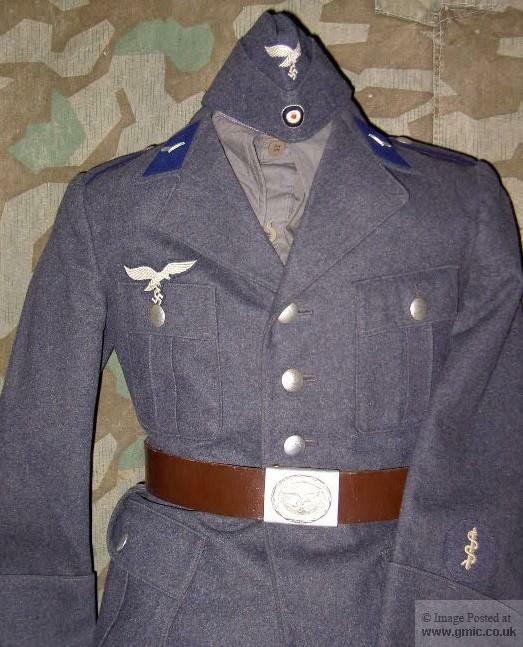 Here is a LW Tuchrock for a Sani private, which was soon replaced by the Waffenrock. Notice the lack of blue piping. I have seen this as a common omission on other specimens I have come across. There is no evidence that it was ever present. Here are some examples from my collection. 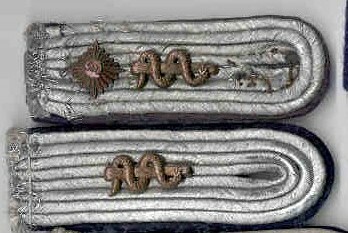 All medical Officers and Senior Officer Candidates wore the Askulapstab(staff and serpent) cyphers on their shoulder boards/straps. 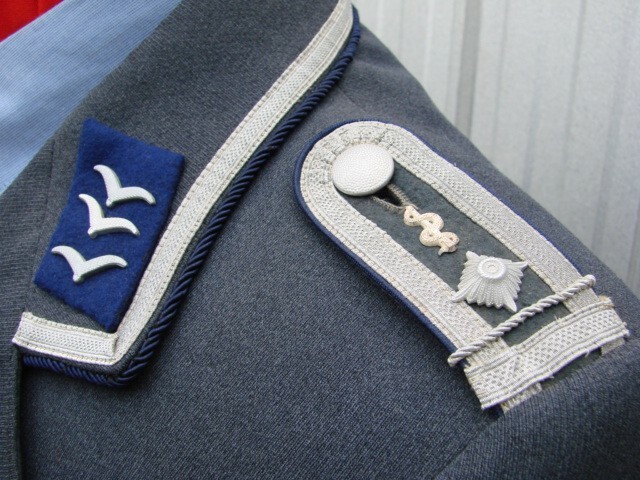 Qualified NCOs and EMs wore the trade badge on the lower Left sleeve. 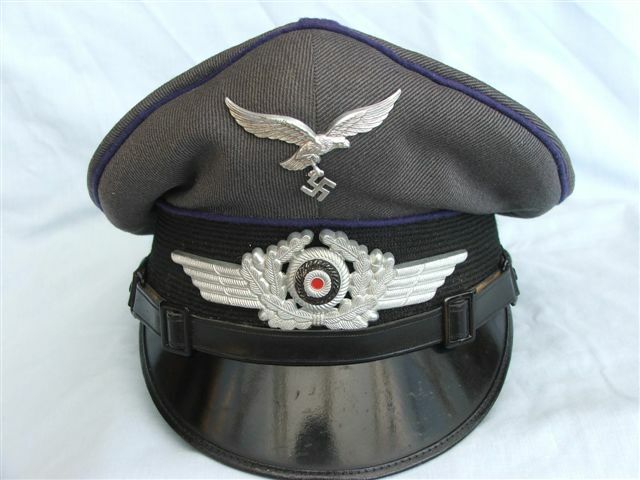 Officials did not wear these insignia. 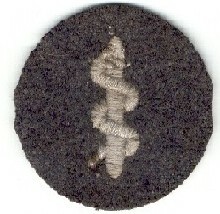 a. Enlisted and Junior NCOs- The "A" was embroidered onto the strap in dark blue thread and outlined with light blue thread. b. Senior NCOs- The "A" was a white metal cypher. 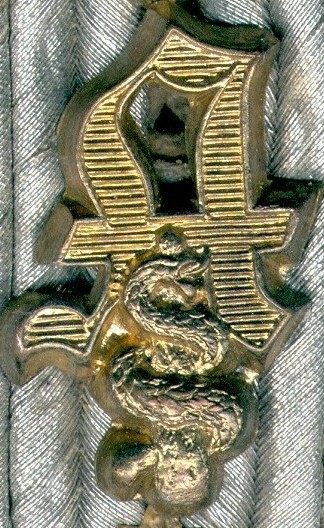 c. Officers and Officer Candidates- Gold colored "A" superimposed onto the Askulapstab. 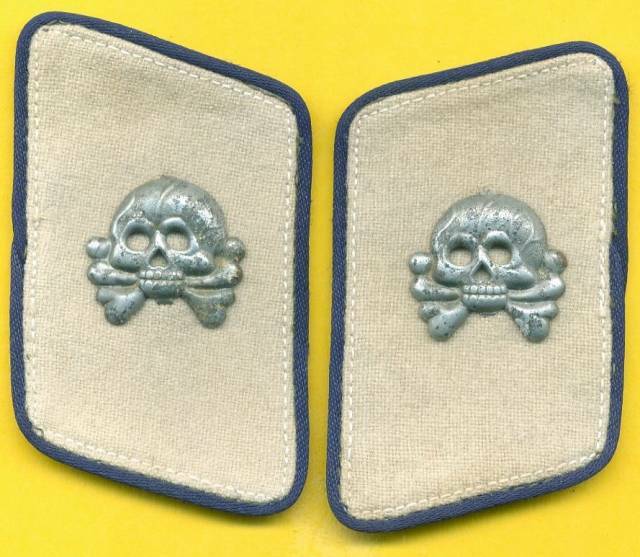 There was no special designating insignia for Dentists. They wore the uniform of a LW Doctor. The Stabsarzt board below is one of a pair in my collection. The academy board is the first of it's kind that I have seen. I have never seen both the Askulapstab and the "A" cast as a one piece cypher before. The next two boards are singles for the ranking of Assistenzarzt and Oberarzt. 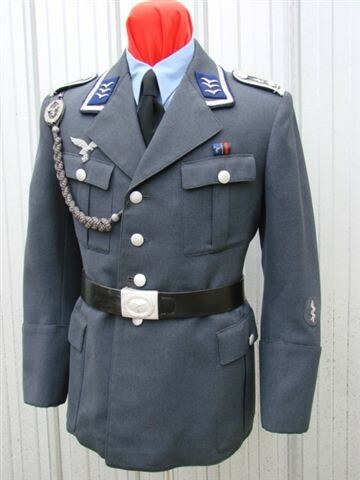 And unauthorized Hermann Goering tabs, thought to be special order for a medic attached to an Armor unit. These would have been completely unauthorized, and worn when out of garrison. They appear to have been for a Panzer wrap. An original postcard, from my collection. This is my "sanit?ter" armband. The armband has two faint inkstamps, and something that looks like blood. 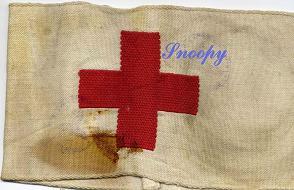 I believe that this is the regulation armband, that was worn in the field. Great stuff, Snoopy! Does the post card have any writing on the reverse? Photos of these med evac aircraft are not common! 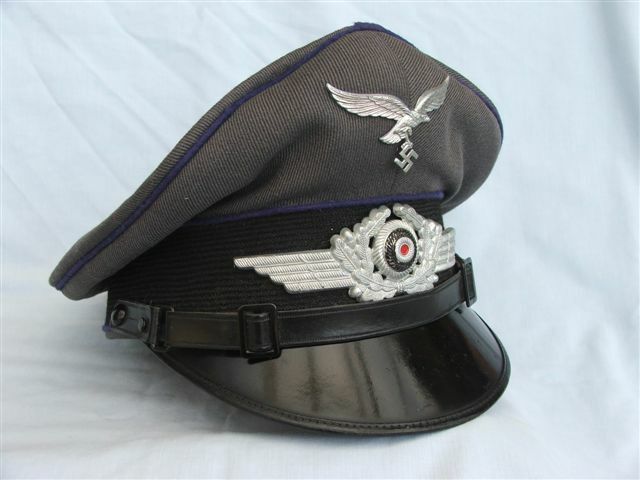 Everyone, data or militaria related to Luftwaffe Medical Corps will be greatly appreciated. This could include: period photos, insignia, uniforms, documents, and stories from actual veterans. Glad you like it. It's my favourite postcard. The card has no writing on the reverse. 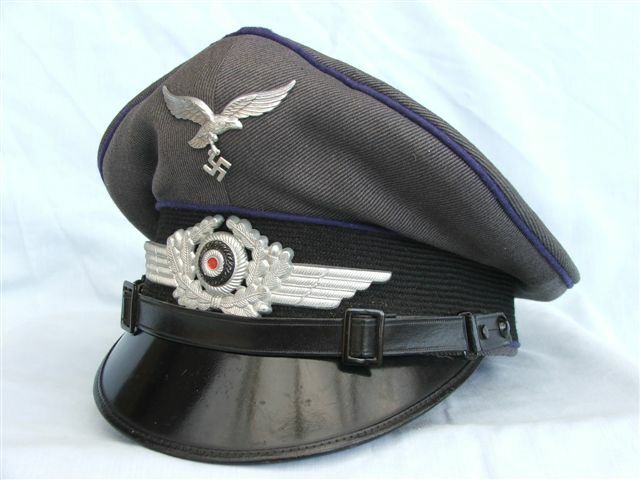 It formerly belonged to a norwegian ss volunteer. The card came from a series of cards, that the soldiers could buy. I guess that some of them ended up in photo albums. 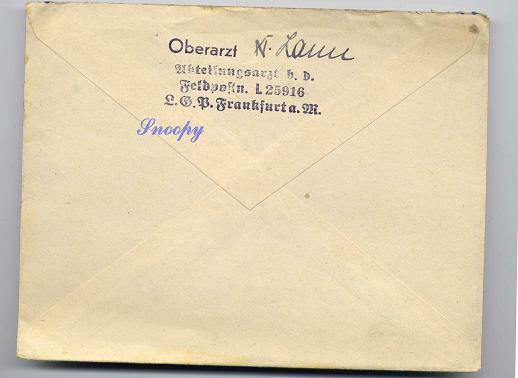 Printed on the reverse of the card is "Gebirgsdivision "Nord" in Karelien. This is the back of a Lw envelope, with a nice ink stamp. I am not able to read the name. If anybody can, I would be grateful. Maybe, it would be possible to do some research, on the ink stamp and name. Unfortunately, it's no letter in the envelope. Normally I would only buy envelopes with letters, but I like the stamp. 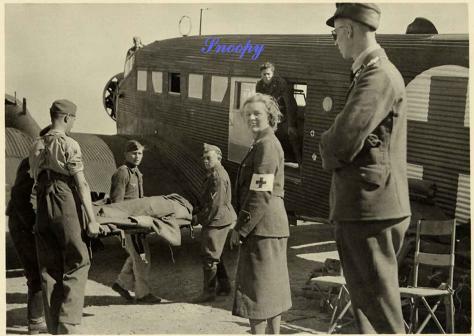 Any data or militaria related to Luftwaffe Medical Corps will be greatly appreciated. This could include: period photos, insignia, uniforms, documents, and stories from actual veterans. Here is another tunic. 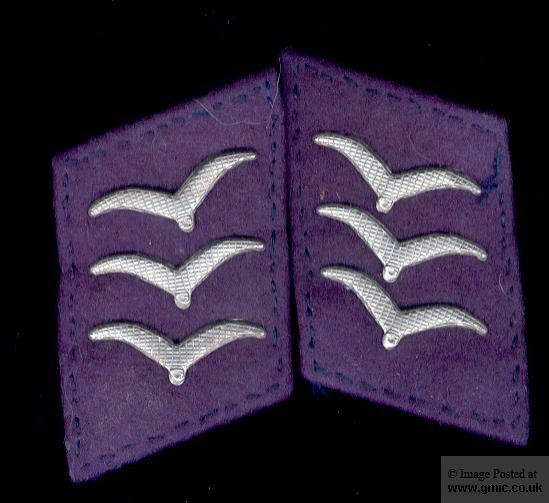 This piece appears to be a tuchrock to a junior level Officer Candidate. This tunic is courtesy of Mike Swan! Lets keep this thread alive. Lets see you LW medical related items! 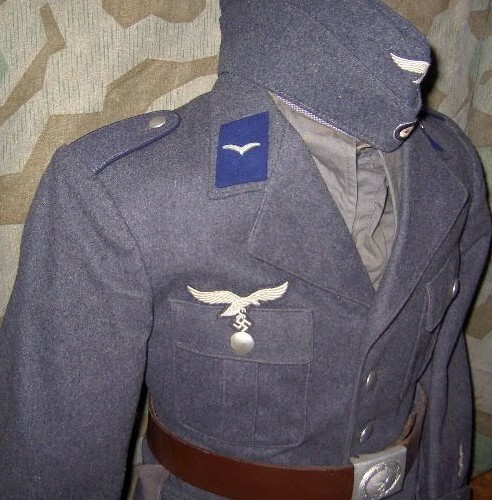 Your comments about fine workmanship and embroidering skills have highlighted the main reason I love collecting military garments from this era. One must realise that in those pre-television and other modern fad days, young women engaged in needlework as a matter of course. There was an ethic in society that you had to be gainfully occupied. Since WW2, needlework slowly became less of a priority for the modern lass. Post-WW2, Australia was a popular destination for displaced Europeans who brought their skills with them. 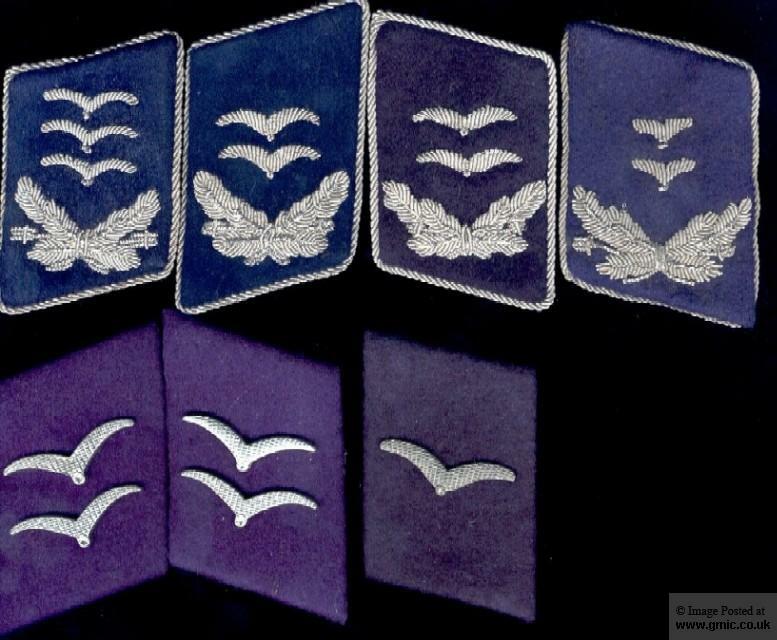 I know that many women embroiderers worked for the (then) Commonwealth Clothing Factory in Melbourne that supplied uniforms and insignia to our armed forces and police. Today such insignia is produced in Asia due to domestic labour costs. I agree with both of your comments. 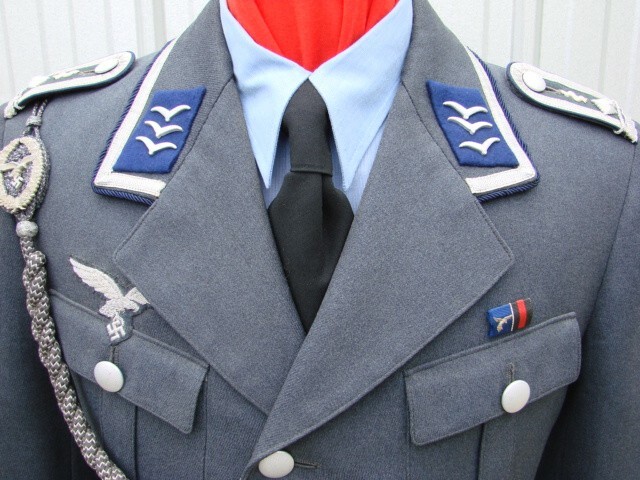 The basic design and construction of the LW uniform is what gives to me, the visual appeal. Great to see you, Mike! 1943 Dated Medical FB. Near Mint with a little moth tracking on the sleeve. 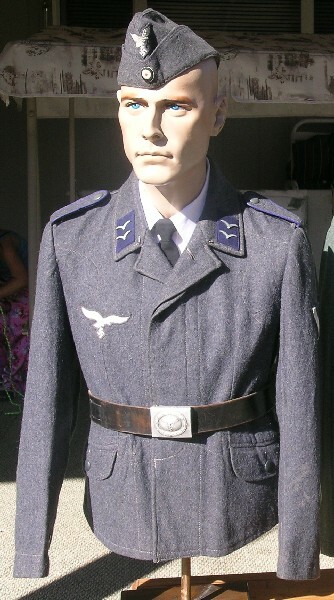 Side view with trade patch.